Happy New Year, I hope that 2019 brings you all you wish for and more. 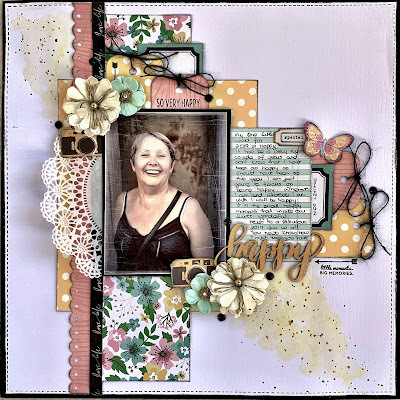 This year I am going to try and do some challenges and I have started the year of by joining in the with the Counterfeit Kit Challenge which shows you a kit they have put together and using that you pull your own kit from your stash. I have to say I had such fun with this one. And here is the kit I pulled. I didn't add embellishments like enamel dots and stuff as I wasn't sure what photos I was going to use. I have to say here I learned a lot from this exercise and I think next month when I pull my kit I will also choose what photos I want to scrap and I think that will help immensely. Having said that I have created a layout using my kit and I am well chuffed with it. Here is the layout I created for this challenge using my CKC kit. My one little word for this year is HAPPY. I need to find my happy again. I used some Tsukineko ink on the background to create a watercolour effect and created my layout. Clean and Simple which is my style. Hi Val! What a beautiful layout! I absolutely love the photo of YOU and your one little word! It is definitely the epitome of HAPPY!!! Thank you so much for joining us at Challenge YOUrself this month. We are very happy that you did! From another CKC follower and enthusiast, your kit and layout are fabulous! 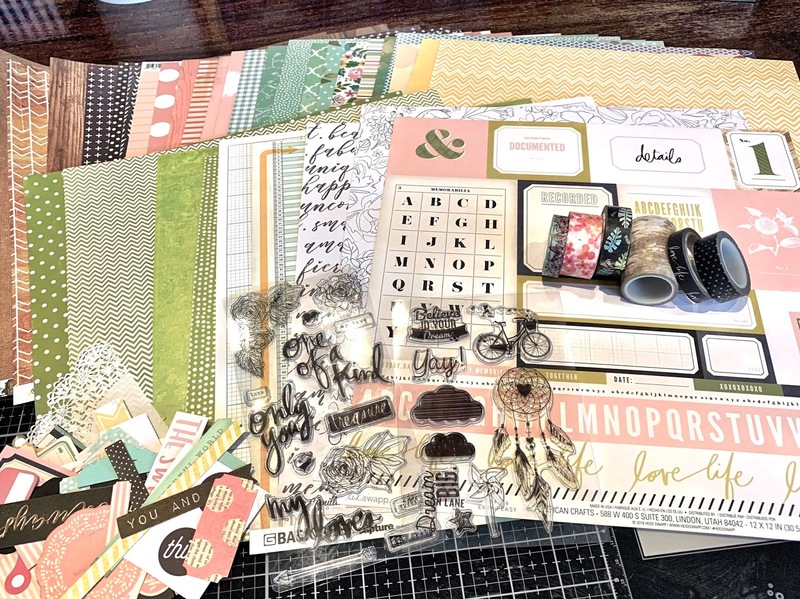 Can't wait to see more paper-crafted goodies from you! Beautiful kit and layout. Love the mixed media on your layout. Thanks for joking in the CKC challenge. Hoping to see more of your projects. 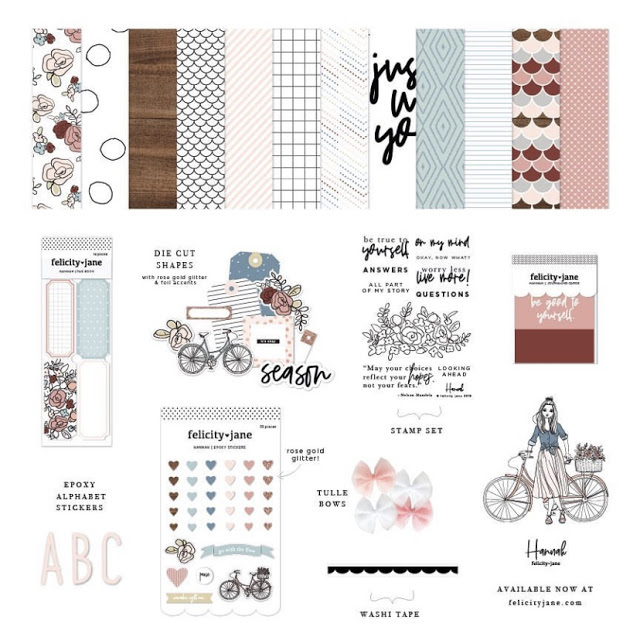 This is really delightful - such a pretty mix of patterns and colors! 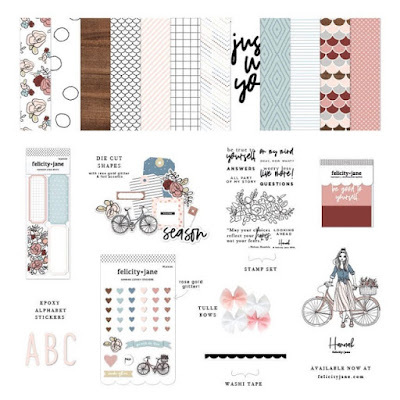 A gorgeous page with the CKC kit and that lovely photo of you. The word you've chosen is perfect for the state of mind you hope to achieve and I wish you success in your quest. Love the sketch and the floral paper. Thank you my dear friend. Yes the word was purposeful and I am hoping that this year will bring happiness all round. <3 Hope you are well. Fab kit and that layout is just stunning. Enough said. 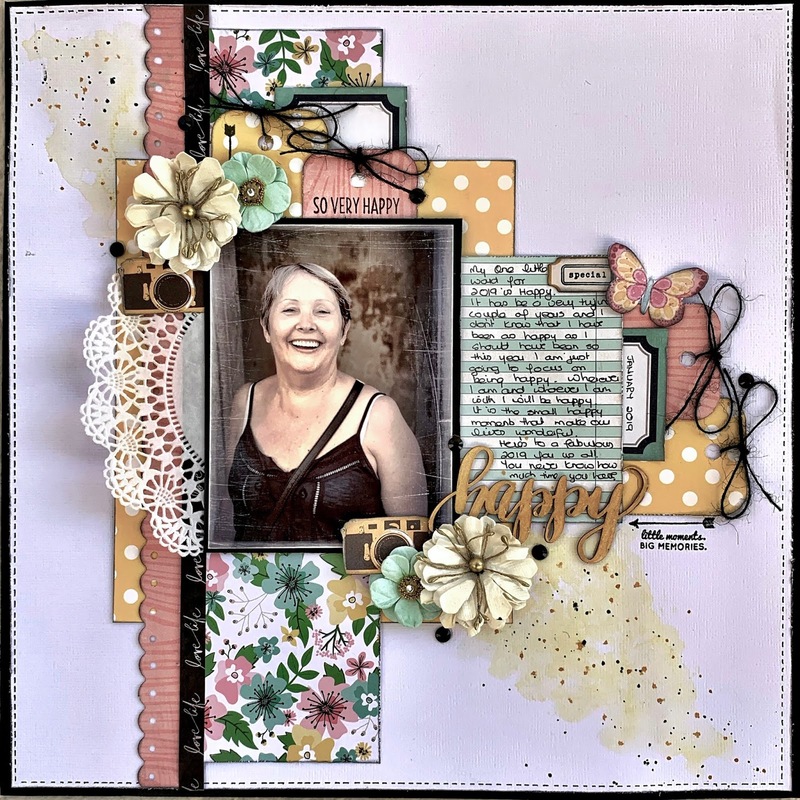 Such a HAPPY photo of YOU and a HAPPY Layout - LOVE your design and mix of papers and embellishments! 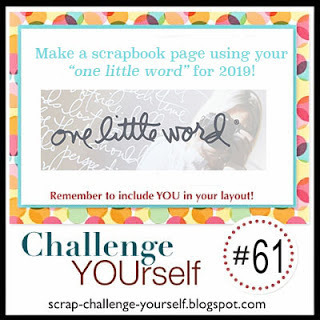 - Thanks for playing along with us at the Challenge YOUrself Blog! Thank you so much it really was a lot of fun to do. Hi Val, your layout is so pretty! Love your little word "HAPPY" with happy you. I also love the background layer and all the elements used on this layout. Thank you for joining us at Challenge YOUrself. So stunning page! So lovely details! Thanks gor joining us at Challenge YOUrself!! My word for 2019 is connected...staying connected to people and remembering that moments are precious!! Thank you D... I can't believe we are now already near the end of Feb and people are posting how many weeks to Christmas. Freaks me out. Connected is a bril word too although at the moment I am trying to avoid people. :/ is that awful.